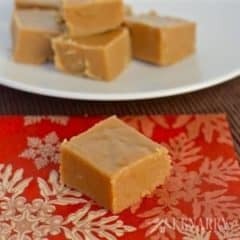 Delicious peanut butter fudge recipe would be a great idea to give as holiday gifts to friends and neighbors or a dessert for a Christmas party. 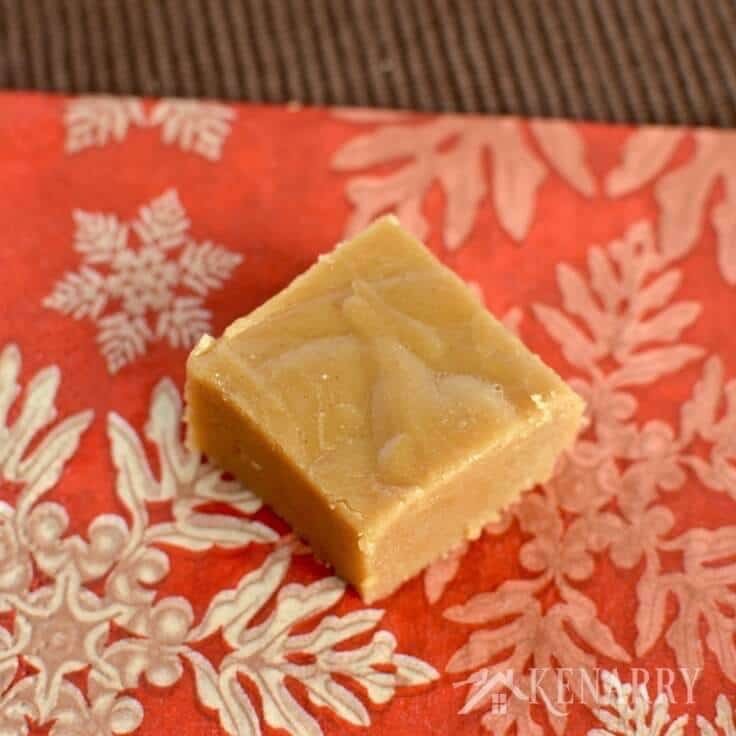 As a special treat for neighbors and friends make this creamy, delicious Peanut Butter Fudge recipe. It’s an easy idea for gifts and holiday entertaining. I am a huge fan of peanut butter. I could easily eat it by the spoonful straight from the jar. In fact, I may or may not have done just that when I was making today’s recipe. I’m sure I’m not the only one who shares in this occasional indulgence, right? So what’s better than a spoon full of peanut butter? A huge pan of rich Peanut Butter Fudge! I just knew it would be the perfect treat to share this month as part of the “Ideas for the Kitchen” exchange I do with Ashlyn from Belle of the Kitchen. With Christmas just around the corner and holiday entertaining in abundance, we thought it would be fun to swap festive holiday treat recipes in December. While I originally shared this creamy, rich Peanut Butter Fudge recipe a few weeks ago on Belle of the Kitchen, Ashlyn was here with a delicious recipe for Chocolate Cake Balls. A few months ago, my husband, my boys and I had the opportunity to travel to Mackinac Island, Michigan with both sets of our parents. If you’ve never been there, let me tell you, Mackinac Island is known for two things. First, it’s an island located between the upper and lower peninsulas of Michigan accessible only by ferry boat. Cars and motorized vehicles are banned from the island except in emergencies so the only forms of transportation you’ll find once you’re on the island are bicycles, horses and your own two feet. It’s quaint and charming, like taking a step back in time. Second, Mackinac Island is known for its delicious Mackinac Island fudge. You can hardly walk a few feet down the main street without a waft of sugary sweet goodness filling your senses. There’s literally a fudge shop on every block. So what kind of tourists would we have been if we didn’t try several varieties of the island’s world-famous decadent treat? 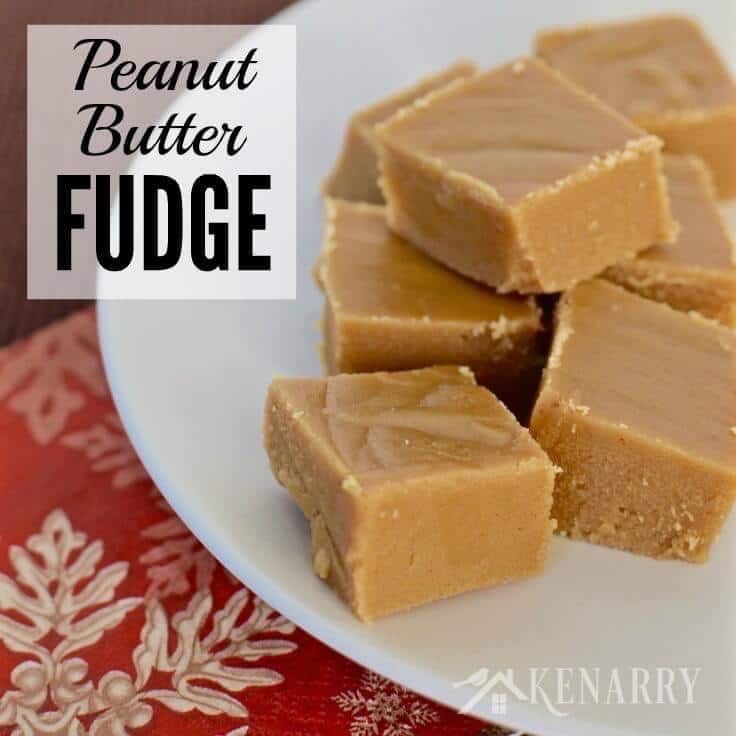 While we appreciated the traditional chocolate fudge and some of the creative add-ins the candy makers used, we all ooo-ed and aww-ed over the amazing Peanut Butter Fudge. I just knew I’d have to try making some myself when we got back to the mainland. 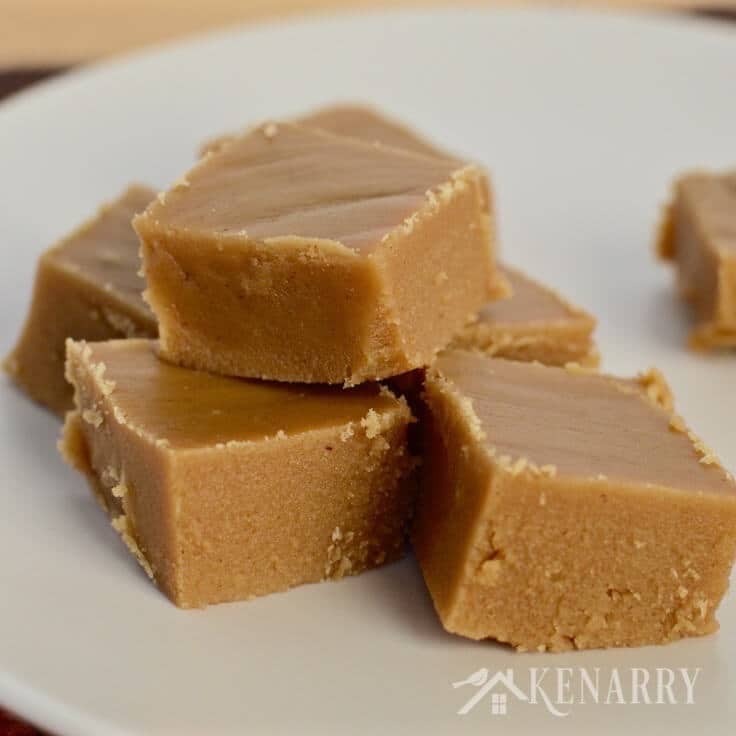 While I don’t know the super secret recipes used by the Mackinac Island fudge makers, I’ve got to say my Peanut Butter Fudge recipe turned out pretty amazing too. It took me a few tries to get it right, but my husband and boys all gave the final attempt two thumbs up. The recipe involves two kinds of sugar, milk, a little butter, a dash of vanilla and of course, rich creamy peanut butter. Lightly grease a 9” x 9” glass pan with butter. Combine powdered sugar, brown sugar, butter and milk in a saucepan and stir over a low heat until the sugars have dissolved. Bring to a boil over medium heat, then slowly boil for 5 minutes stirring constantly. Remove the saucepan from heat. Add peanut butter and vanilla. Stir until blended. Pour the Peanut Butter Fudge into the glass pan. Let cool. Once the Peanut Butter Fudge pan has reached room temperature, you can move it to a refrigerator to finish cooling. 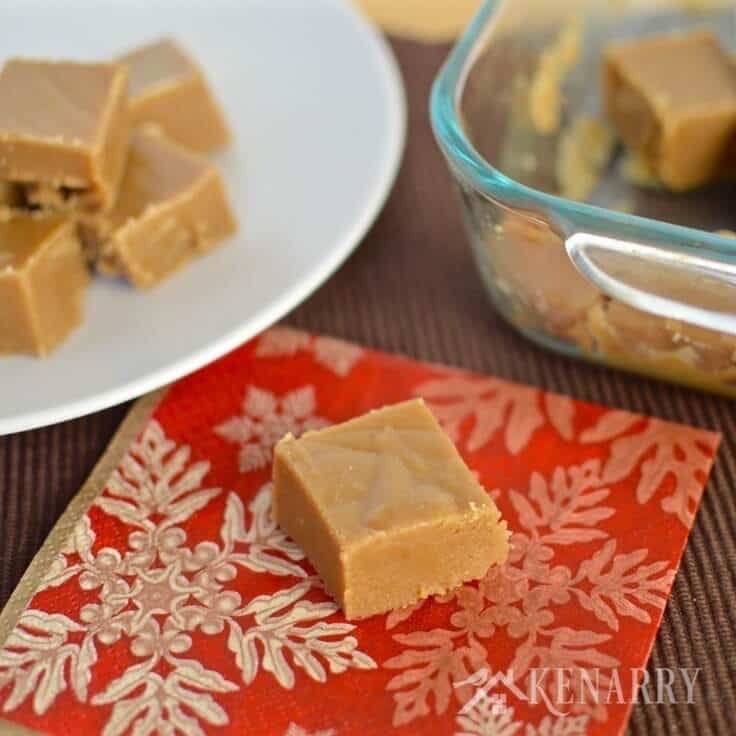 Allow the Peanut Butter Fudge to cool for at least four hours. Enjoy! You can make multiple batches of the Peanut Butter Fudge recipe and package it in cute little containers. You could also place it on a festive plate and wrap with cellophane tied with red or green ribbons. Make it a bigger gift by adding Peanut Butter Fudge to a full tray of holiday treats, including the Peppermint Mocha Chocolate Chunk Cookies and Cranberry White Chocolate Chip Cookies Ashlyn and I traded last December. Use the print button you find on the Peanut Butter Fudge recipe here on this blog. It will open up a new window showing a cute little recipe card you can print from home on cardstock. 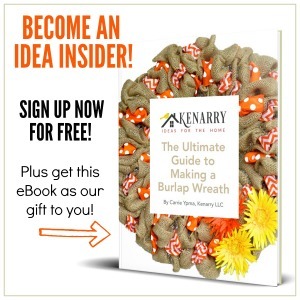 Just cut around the dashed lines and attach it to the gift with ribbon. Don’t limit yourself to friends and family members. Peanut Butter Fudge would also be a wonderful holiday treat to give to hostesses, neighbors, teachers, coaches, volunteers, postal workers, librarians, church leaders and other people you’re thankful for this year. I would recommend keeping the Peanut Butter Fudge refrigerated until you’re ready to present it to your intended recipient. What’s your favorite treat to make for holiday parties or to give as presents to friends? Please comment below and share with us. We are always looking for delicious new ideas for the kitchen. Hi Rae, If it helps you get peanut butter fudge to your son sooner, there are 8 oz in a cup! 🙂 Enjoy this recipe. Your son is going to LOVE it. I agree, Rebecca! Maybe you could just pour it warm over vanilla ice cream and eat it right away instead? Oh yes, you deserve a special treat. Enjoy, Dina! Thanks for visiting from Tasty Tuesdays. 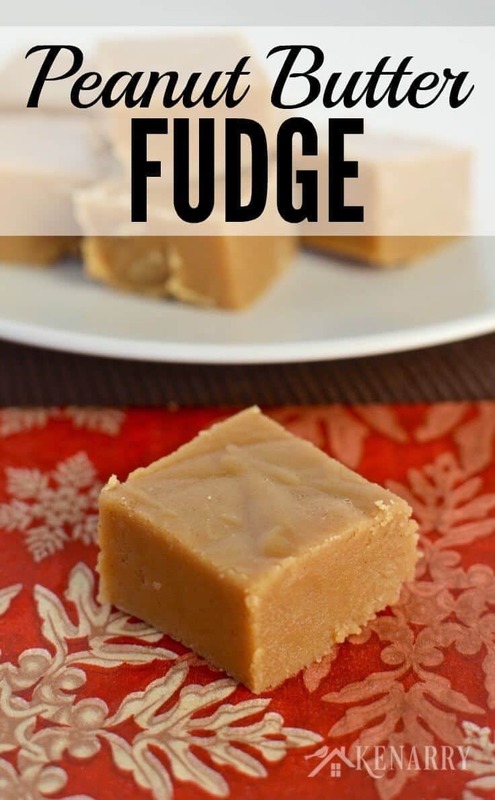 Yum…peanut butter fudge is so good! My kids would love this! Oh yes! It’s sure to be a big hit for them – and extra protein and sugar to burn on those long runs they do. 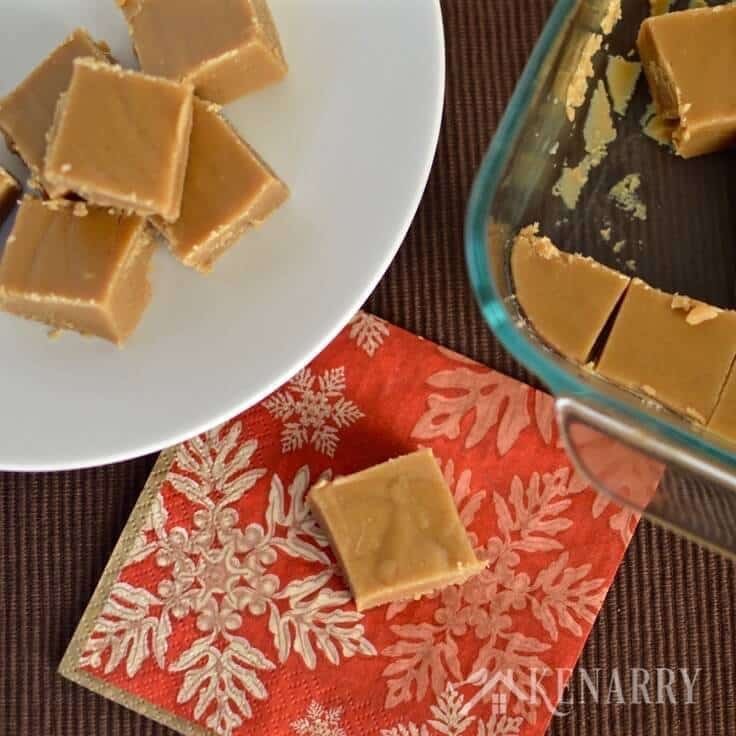 I made this Peanut Butter Fudge recipe and it did not turn out right at all! It never hardened up in the fridge so I pour it all back into a pan and boiled it some more and put it back in the fridge after it cooled and I’m never going to follow this recipe again. I’m making a chocolate cake and just going to use this suppose to be fudge as frosting for my cake I guess instead of wasting it! I would say to give the recipe a try again and see if that helps fix the problem next time! In the meantime, to fix the fudge that didn’t set some sources suggested you can reheat it and add either more powdered sugar or water. But since you’ve already heated it once I’d say to just start over. You can use the batch that didn’t set as frosting on a chocolate cake like you mentioned or I bet it would taste amazing as a peanut butter fudge sauce on ice cream!